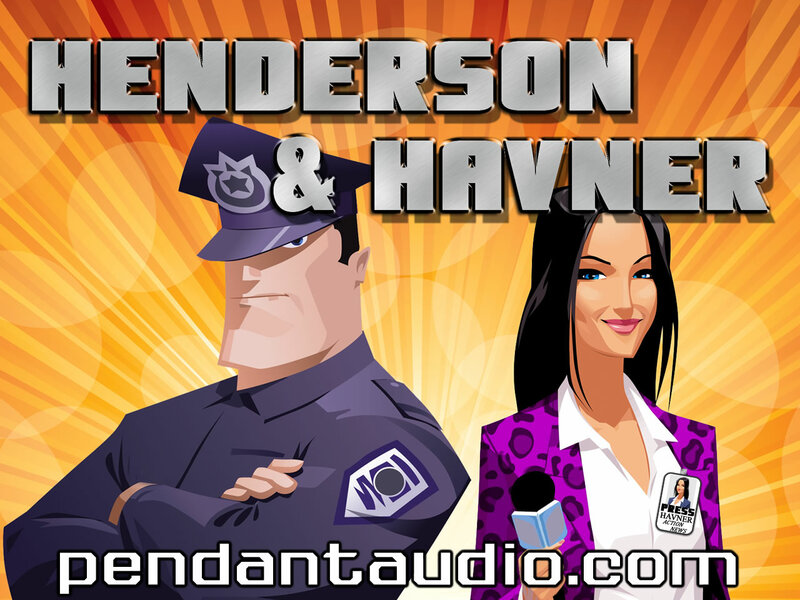 Henderson and Havner: episode 24! Henderson and Havner: episode 23! H&H get their snoop on with Captain and Chiefy, and uncover surprising information! Also Dr. Anderson is around for some reason. Henderson and Havner: episode 22! What could possibly ruin the perfect honeymoon? The stars of our show, of course. Henderson and Havner: episode 21! H and H present their evidence, but the Interims’ response isn’t what they expected! Henderson and Havner: episode 20! A field trip to a nearby factory gives H and H all the clues they need… or does it? Henderson and Havner: episode 19! H and H get a taste of their own medicine as the Interims up the pressure! Henderson and Havner: episode 18! The Marauding Marauder strikes again, and H & H turn to an unlikely source for help! Henderson and Havner: episode 17! 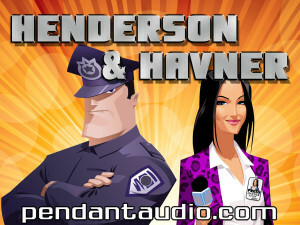 Season 3 of Henderson and Havner is finally here!!! But H&H have no time to enjoy their newfound fame, for evil is afoot! Henderson is a cheesy beefcake of a man. If you haven’t met him yet, he’s a loose-cannon cop with the intelligence of a small soap dish. I’ve been providing his voice for Pendant Productions for a little over 3 years now, and since Season 3 is coming on March 22, I thought something special was in order. I always wondered what Henderson would look like in real life, and recently, I purchased some new software called “Poser” that can create realistic 3-D human models. Time for a test run! The modeling software does have a learning curve to it. This may be less if you’re actually a graphics person or an animator, but for me it was about medium level of difficulty. After creating the model, the next step is rendering. For still images, it’s not too bad. A few minutes for each one. The animation, however, took a looooonnnnggg time on my computer. Since I wasn’t going to buy a new computer just for this project, I decided to limit the animated portion to 5 seconds. That’s 150 frames (at 30 fps), and each frame took about 4 minutes, so, yeah, long time. The rest of the video is still shots that I pan up, down, or sideways in the video editing software (I use Sony Vegas). For the whole project, I’d guess I spent about 30-40 hours. Henderson and Havner: episode 16! Henderson pleads his case to Captain and Chiefy while Havner gets cozy with the consul! Will Henderson convince Captain and Chiefy? Will Havner entice Sparks? How many questions can we fit in to the season two finale episode blurb? ?